After the initial release of the ‘Black Elements’ pack a short while ago, adidas are set to roll out their new ZX Flux this weekend in a trio of packs, one of which being the impressive ‘Photo Print’ Pack. 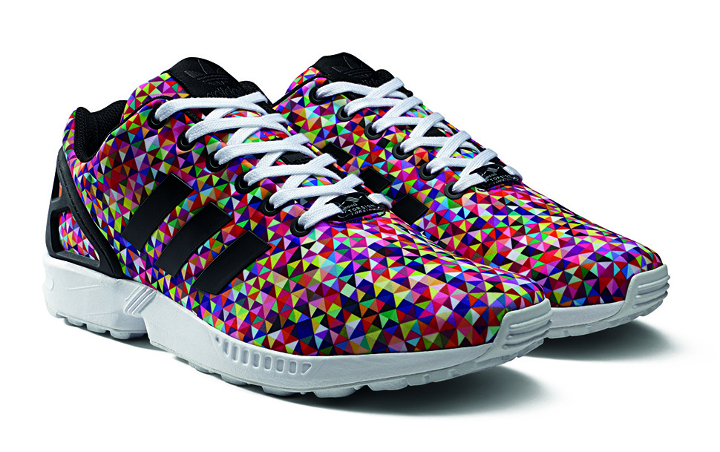 The ZX Flux is the first new shoe to really grab my attention in some time. I love my classics and it takes a lot to sway me on to a new way of thinking, but there’s something about the Flux that really has me. The shoe itself is based on the brand’s legendary ZX 8000, honouring the shoe’s 25th anniversary with a new, streamlined silhouette. The primary elements of the ZX 8000 remain in the heel cage, Torsion sole and iconic three stripes, but the rest has been completely stripped away creating a completely fresh and contemporary evolution of the ZX range. 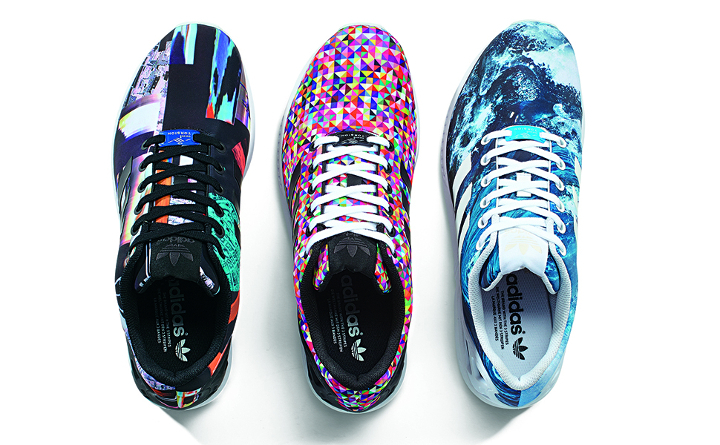 The Photo Print Pack showcases one of the real benefits of the ZX Flux’s design – providing a huge surface area that can be easily printed on with high definition. We first saw the technique used with the impressive ‘lightening’ model from the Flux’s first release, but the Photo Print Pack adds ocean waves, multicolor prisms and a computer glitch print into the mix. 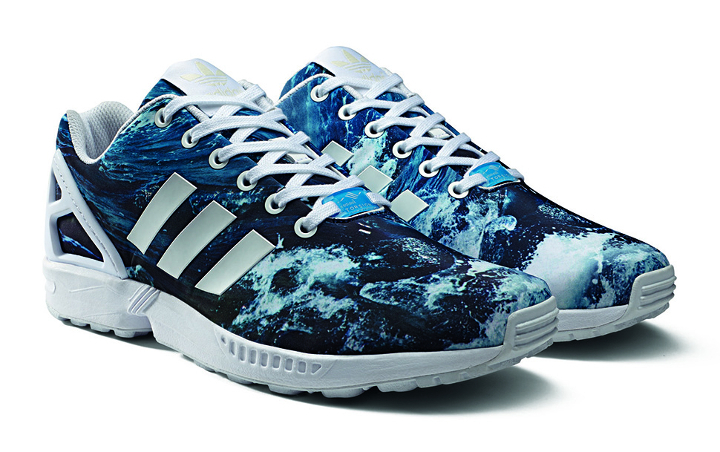 There’s echoes of the Nike Air Presto, known for graphic printed uppers that featured lightening, lava and ice, but digital printing technology has moved on a lot since then giving the ZX Flux’s upper a unique edge. 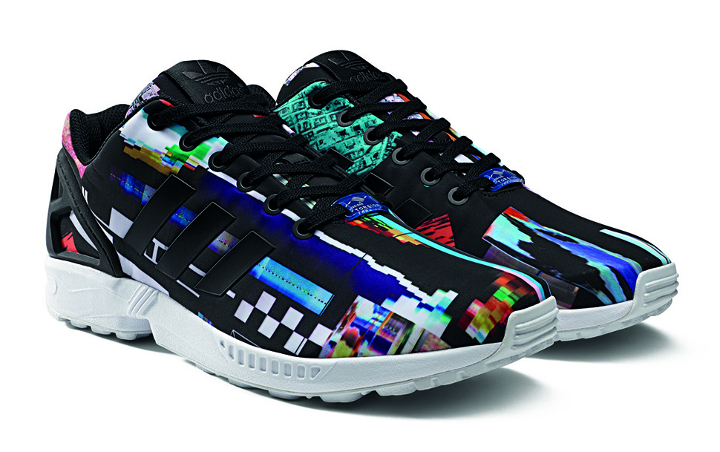 The adidas Originals ZX Flux ‘Photo Print’ Pack releases tomorrow, March 29th at adidas and select stockists nationwide with a price tag of £80 – just a little more than the Base Pack. Take a look at all three styles here, you can also enter to win yourself a pair in the ZX Stories competition here.